Hey there! I hope you missed me. Lol. This time I’d like to share my review with yet another online shop and the items I procured at The Little Emily Shop. This by the way is my first purchase from Little Emily Shop. My package was delivered through Xend. 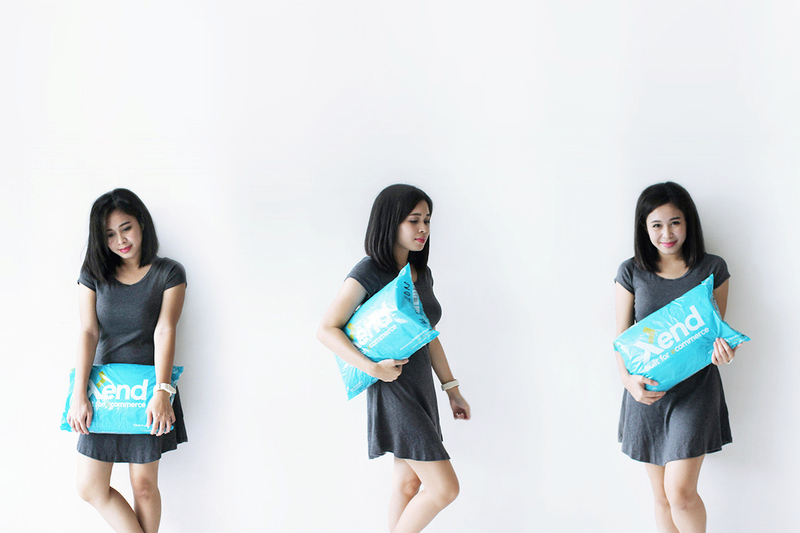 Seven of the pieces I ordered is inside this turquoise pillow-ish plastic, come and join me in opening the Little Emily parcel! Am I seeing clearly? Yes, they offer clothes for as low as P195! Let’s see how the quality of the items will be..
Below are some of the posted photos of the pieces I ordered in Little Emily Shop. Here’s the list of my orders. 😁 .. I would do almost everything to save money that includes FREE shipping! Hahaha. 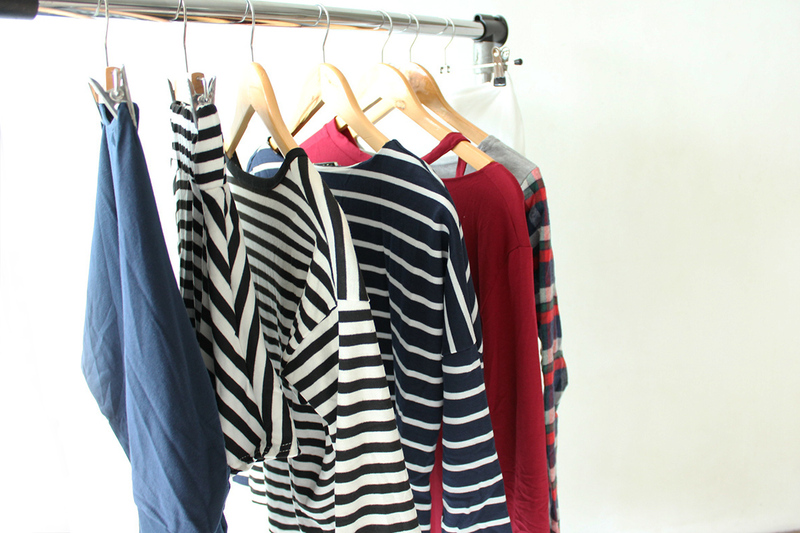 Little Emily Shop gives a free delivery when you reach a total of purchase worth P1,000. I spent P2,020.00! So, where’s the so called saving Mica? Hahaha... Well my plan is to avail the free shipping. *Ordered last April. Sorry if it’s a bit late, working and being back to studying doesn’t allow too much free time. Okay so I’ve opened the parcel and hanged the clothes for aesthetic purposes. These are now the actual items. I wasn’t able to hang one more top coz’ I ran out of wooden hangers. I wonder where those hangers went. I wore the Gray V Neck Relax top instead. I bought the same top but in blue color. This top is big (haha) but checking from the photos from Little Emily Shop it’s actually really loose. 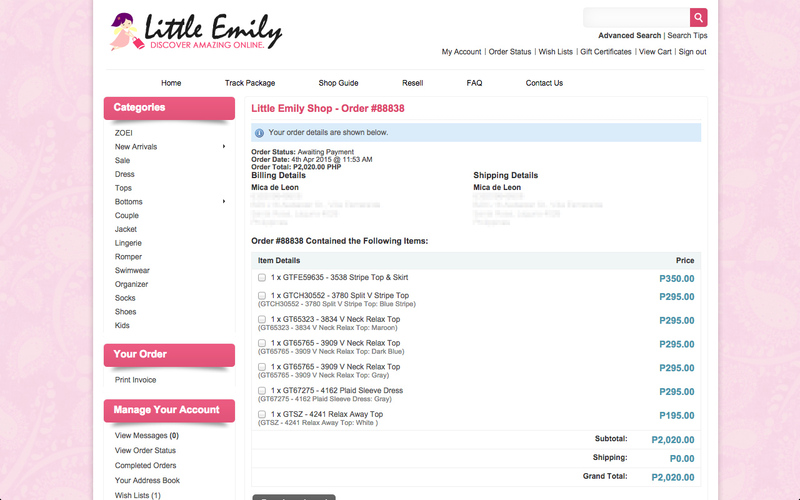 I am impressed by the quality of the items I bought from Little Emily Shop for a very affordable price. I specially liked this skirt & top set! I thought the skirt was too small for me initially but it fit me well when I tried it on. This plaid dress too! So nice!! I’m really happy with my loot from Little Emily Shop. For an affordable price I got nice looking pieces. They even gave a free gift, a headband. Sweet! Thank you Little Emily Shop. I check the Little Emily Shop regularly for their weekly new arrivals. They post new arrivals 4 times a month. I’m actually browsing through Little Emily Shop while working on this entry and I’m tempted to make a second purchase. Come on, let’s do some shopping at Little Emily Shop! They have a lot of pretty styles from t-shirts, blouses, dresses and more. Little Emily Shop accepts payment through bank deposits at BPI or BDO, Gcash and if you find paying through bank an hassle and don’t have a gcash account (like me, lol) you may also pay through Paypal. 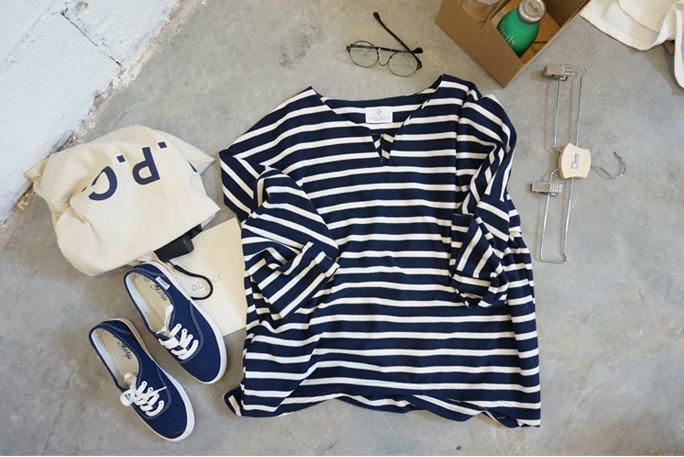 Excited to style these pieces and wear them for #ootd worthy posts. 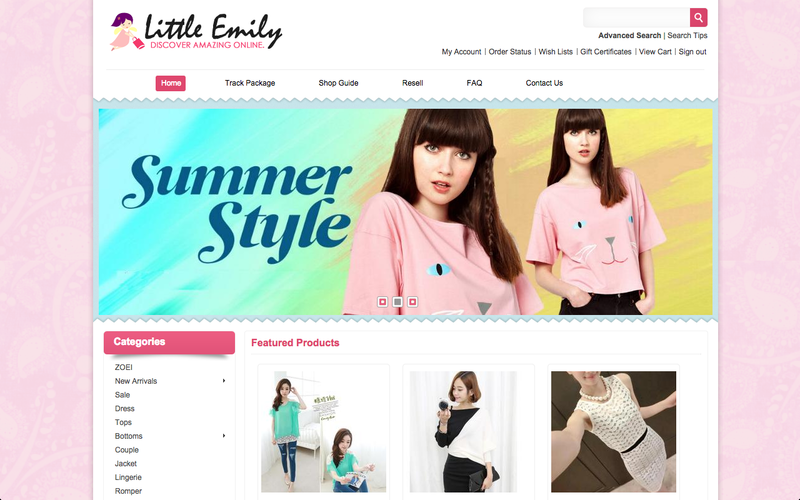 Click here to shop at Little Emily Shop. Hope to have you again in my next posts.